A FORMER coach to some of Britain’s Olympic stars of the 1970s and 1980s has been jailed for molesting a teenage girl he was teaching to swim. Disgraced ex-teacher Cyril Carter – who trained Olympic silver medal swimmer Sharron Davies – targeted another youngster who was aged between 14 and 15 and attacked her at the pool and at his home. 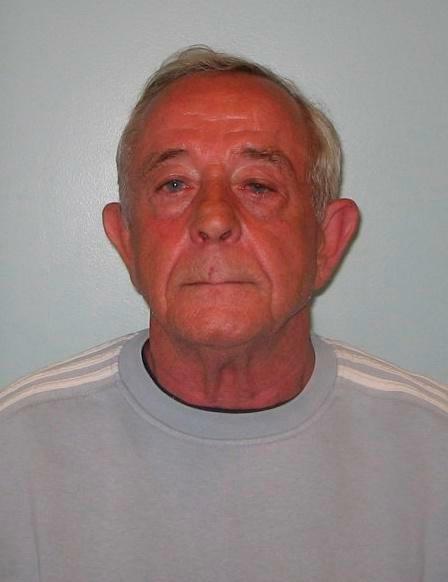 Carter, now 68, singled his victim out from a class he was teaching in the Eltham area of South East London in 1985 and began coaching her in swimming and athletics outside school. During these training sessions he began indecently assault her. He also abused her at his home when she had to stay at Carter’s home ahead of early morning training sessions, and committed further offences in his car. Carter’s other proteges included GB pool star Sharron Davies, now a BBC presenter, who was just 15 when she won two golds, a silver and a bronze at the 1978 Commonwealth Games in Edmonton. Two years later at the Moscow Olympics she came second behind East German drugs cheat Petra Schneider. Carter also coached judo medallists Neil Adams and Brian Jacks, and wrote books on the discus with British strongman Pete Tancred and judo techniques with Neil Adams. Detectives from the Met’s Sexual Offences, Exploitation and Child Abuse Command launched an investigation after the victim reported the abuse to police in 2013. Carter was arrested in March 2015 and charged with six counts of indecent assault and five counts of gross indecency with another child under the age of 13. Carter denied the charges, but was found guilty in November of four counts of indecent assault. He was cleared of the two other assault counts and no verdict was reached for the charges of gross indecency. The former Eltham man, currently of no fixed abode, was sentenced to six years and eight months in prison at Woolwich Crown Court. Carter was also issued with a Sexual Harm Prevention Order preventing him from training or coaching children.